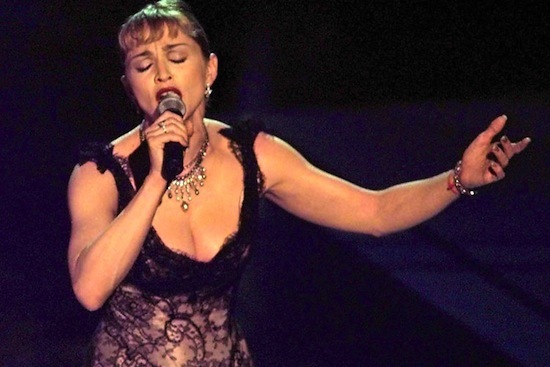 On March 25 1997, Madonna performed You Must Love Me at the 68th Academy Awards. The song won the Academy Award for Best Original Song. 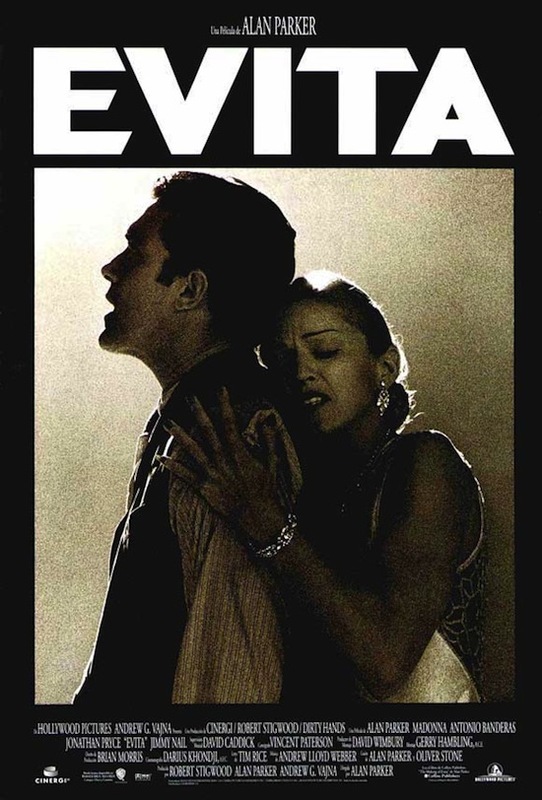 On March 15 1995, Madonna signed on to star as the late Eva Peron in film version of Andrew Lloyd Webber’s Broadway musical Evita. 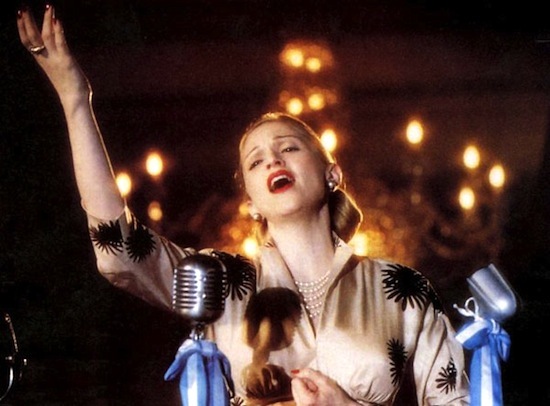 On December 25 1996, EVITA was given a limited released in New York and Los Angeles. Wide release for the film followed on January 10, 1997. 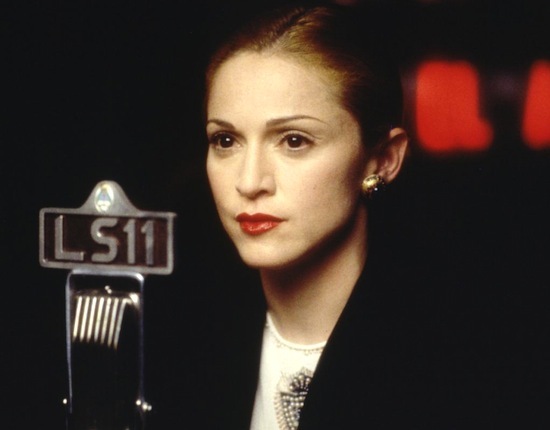 On December 21 1996, Madonna’s You Must Love Me (the lead single from EVITA) spent its final week on Billboard’s Hot 100 Airplay Chart in the USA. The hit single spent a total of 9 weeks on the chart. “You Must Love Me is an aching farewell that dispels the illusion of a romance-of-convenience to reveal the inescapable love and tragedy beneath”. On November 16 1996, Madonna’s You Must Love Me debuted at #22 on the Billboard Hot 100 in the USA. 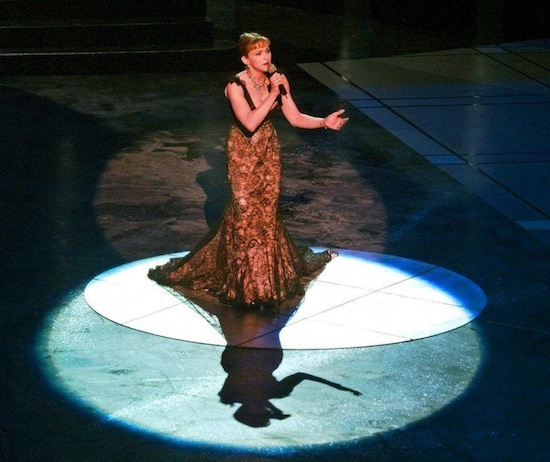 You Must Love Me was the first single released from the EVITA soundtrack. The track was written by Andrew Lloyd Webber and Tim Rice. Jay’s Note: The success of this single is proof that Madonna’s power over radio and sales was un-stoppable. Imagine a song like this becoming a hit at radio and retail today? Not possible! 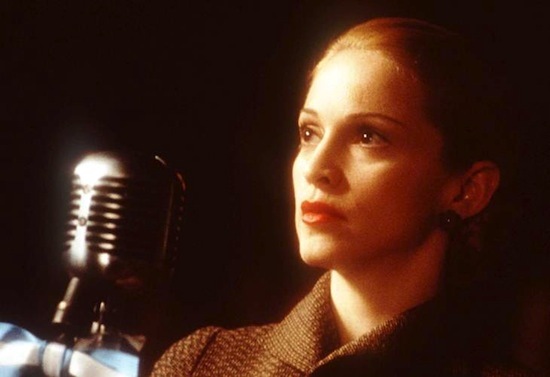 On October 27 1996, Madonna’s You Must Love Me (the lead single from Evita) was released. 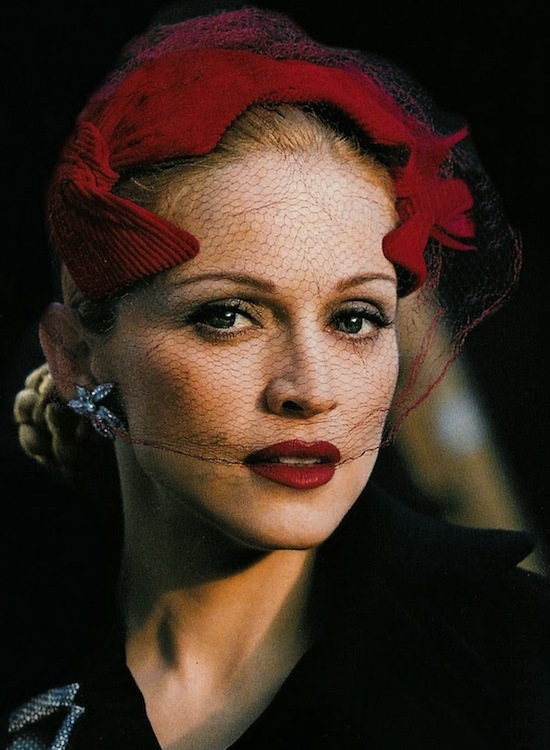 On October 8 1996, Madonna’s You Must Love Me music video premiered on MTV. 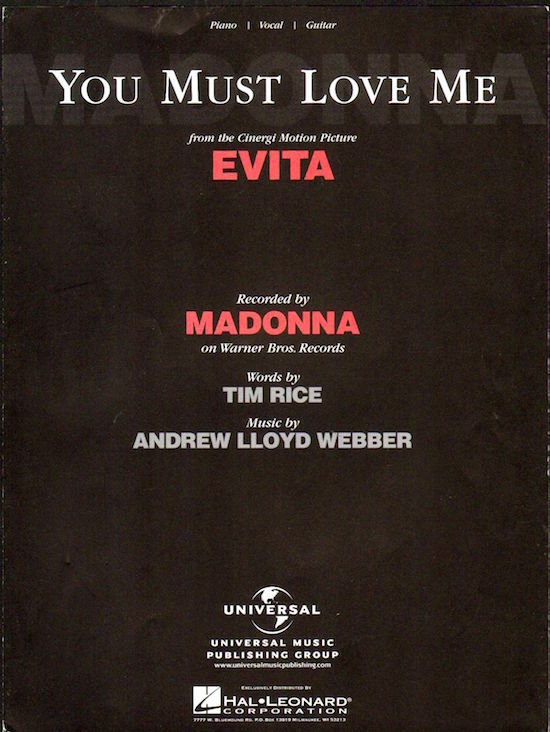 You Must Love Me was released by Warner Bros. as the first single from the Evita soundtrack. The song was written by Tim Rice and Andrew Lloyd Webber, and it won an Academy Award for Best Original Song in 1997. 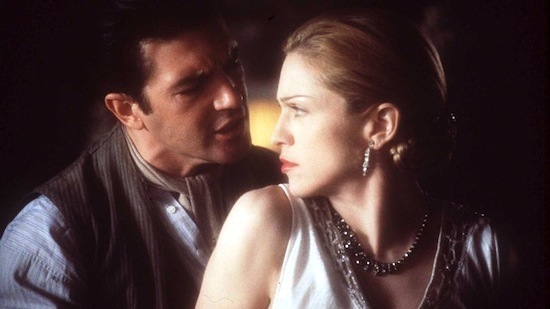 Madonna filmed the music video for You Must Love Me on 31 August 1996 in California, while she was eight months pregnant with her daughter Lourdes. Madonna stood behind a piano to hide her pregnancy.